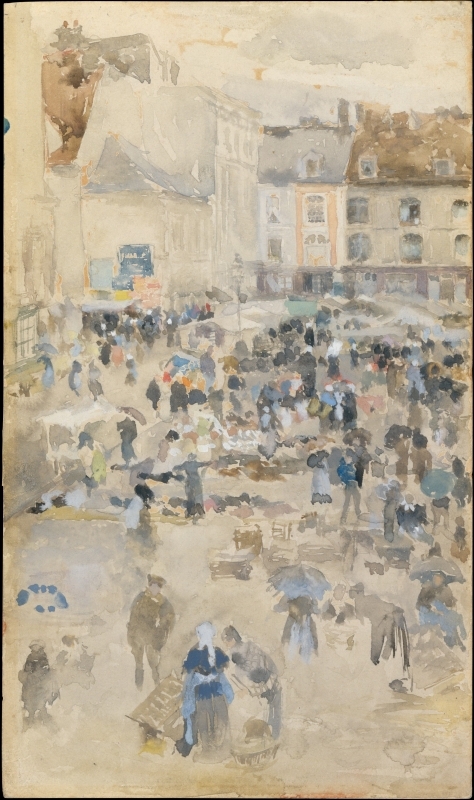 Variations in violet and grey – Market Place, Dieppe dates from 1885. It is fully catalogued in MacDonald 1995 (cat. rais.) [more] (cat. no. 1024). The record has been updated.